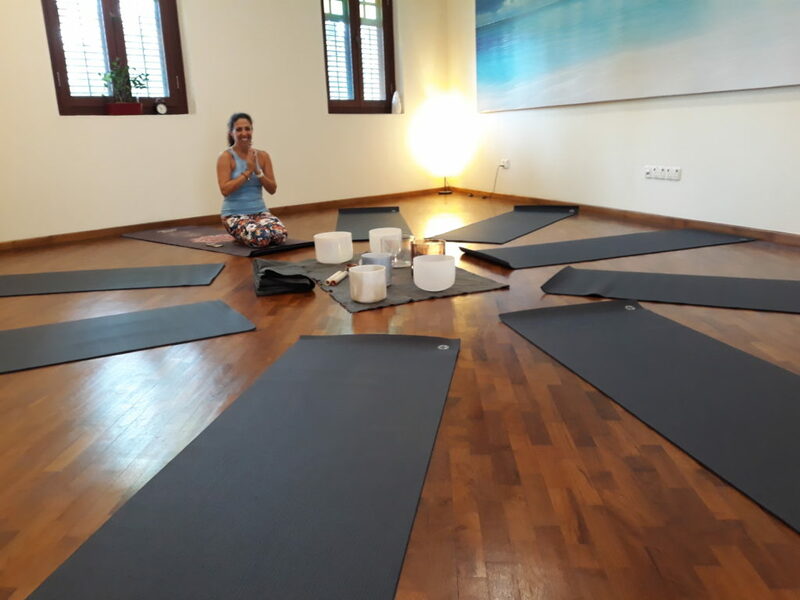 Join Claudia and Jaslyn in this special curated session where we combine Yin Yoga with the healing tones and vibrations of the Crystal Singing Bowls. Sound therapy has been used for centuries by people from all cultures to assist in healing. Different vibrations and sound waves are converted to electrical signals when it reach our ears to heal our body and makes us happy! 7 Crystal singing bowls will be used in this session. A Crystal Tones Yagna Alchemy bowl, Ocean Indium Alchemy bowl, a Throat Chakra Quartz bowl, a Crystal Tones Triple Heart Morganite and Emerald Alchemy bowl, a Crystal Tones Platinum Alchemy bowl, a Sacral Chakra Quartz bowl and a Crystal Tones Mother of Platinum Alchemy bowl to facilitate a relaxing and calming sound therapy during the Yoga session. Claudia is passionate in seeking the balance in holistic perspective which encompassing the physical, mental/emotional and energetic/spiritual. She was a physiologist for more than 20 years before deciding to become a Yoga teacher. Her years of seeking knowledge has also led her to becoming Reiki level 2 certified, a Life Coach, Management Coach & CreArte (healing through creativity). She has immense joy in inspiring her students with positive attitude and embracing those moments, watching students grow NOW and beyond. Creating a conscious awareness of how yoga moves your body and spirit is a beautiful process which she enjoys. 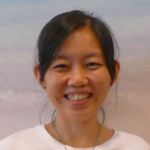 Jaslyn is a Usui Reiki Teacher trained under Elaine Grundy, the founder of Reiki Centre. Her first experience with Crystal Singing bowls was in 2015 when she was in her first retreat immersion in Australia. 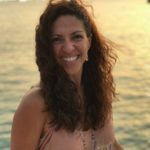 Jaslyn is passionate to pass on her knowledge and educate people about their general well-being, self-discovery, self-empowerment and inner peace through Reiki, fitness and nutrition. She believe our body are inter-related through Mind, Body and Spirit. One cannot find balance without the other. It is the quest of knowledge for equilibrium that you may find peace within yourself. Her role as a teacher/healer is to guide you on your journey, empower you to healing yourself and others with light, love and compassion.